Who’d have thought in 2011 – the year of the fibre optic broadband connection – we’d be cementing USB sticks 100 Portable Apps for Your USB Stick for Windows and macOS 100 Portable Apps for Your USB Stick for Windows and macOS Portable apps let you take your favorite software anywhere via a flash drive or cloud storage. Here are 100 of them to cover your every need, from games to image editors. Read More into the wall to share files? Not me, but that’s exactly what the term “dead drop” entails. Devised by blogger Aram Bartholl, this offline and anonymous file sharing 5 Best Tips to Prevent Someone From Watching You When Downloading Torrents 5 Best Tips to Prevent Someone From Watching You When Downloading Torrents Read More method has taken off around the globe and couldn’t be simpler to use. The project’s creator is keen for others to use and install their own dead drops, with more turning up on a daily basis. If you’re sitting there thinking “I have to give this a go!” then read on! Naturally there are a few concerns regarding security and anonymous USB sticks, so caution is recommended. After all, the idea is to provide an anonymous filesharing platform that anyone can have access to. Yes, it is possible for someone to copy malicious software onto the drive (along with an autorun file) that may install something you’d rather not have on your PC. I’d recommend you have all necessary security software setup The 10 Best Free Antivirus Software The 10 Best Free Antivirus Software No matter what computer you're using, you need antivirus protection. Here are the best free antivirus tools you can use. Read More or connect with a virtual machine for ultimate piece of mind. 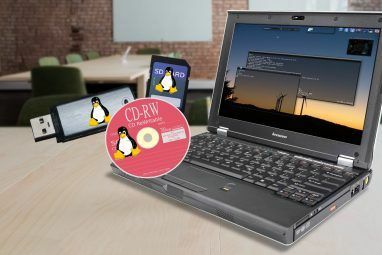 Downloading a Linux live CD is another sure-fire way of avoiding infection. I’m not saying that every dead drop is littered with trojans and malware – you just can’t trust some people. If you have an old laptop with little of importance on it then use it, otherwise any devices that support the mounting of universal mass storage (UMS) devices should also work too (don’t forget your cables). Finally when you eventually get to a dead drop you’ll be holding your laptop against a wall, propped up in an odd position which may look… well, strange to passers by. It might be safer to avoid pulling your MacBook Pro out in a dark alley at midnight, let’s put it that way. The dead drops movement is a fairly organised one, and it may surprise you to learn that there is a manifesto to read and a few rules you to follow should you wish to participate. The manifesto states: “anyone can access a Dead Drop and everyone may install a Dead Drop in their neighborhood/city“. This means that if you want to start your own dead drop, then it must not be in a publicly closed-off space (for example a bar, club or similar). The project’s creator defines city streets as “the only true public space” – so if you want your drop listed on the official website, play by the rules. There is already a well-written and thorough guide about installing a dead drop on the official site, and the steps are fairly easy to follow. 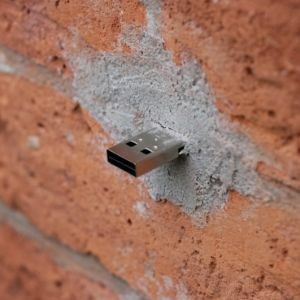 You’ll need a spare USB drive (of any size), a copy of the dead drop readme.txt that explains the project’s aims, some plumbers tape and quick drying cement. If manual work isn’t your strong point, this guide on Instructables might also be of value. Once your drop has been installed you’re urged to make it look neat and attractive before taking three photos – one of the area near your drop, one of the street it can be found on and a close-up shot of the drop itself. Once you’ve done that you can submit it to Aram and if it adheres to the manifesto it will be included on the official site, for others to discover. To help find dead drops in your area, there is a map and an extensive database on the homepage. At the time of writing the dead drop count is up to 591, totalling 1,782GB of offline storage. Lucky Android users can download the Deaddropdroid” app from the Android Market which uses your location to determine nearby drops. The app is currently in beta, and an iOS version is apparently on the way soon for iPhone users. Those using Layar, the augmented reality browser Layar - A Versatile Augmented Reality For iPhone & Android Layar - A Versatile Augmented Reality For iPhone & Android Read More , are also able to add dead drops to their list of available layers – which makes finding drops easier than ever and works on both iOS and Android. Finally – what will you share? There are no limits to what is shared, though many have found dead drops the perfect platform from which to share their own creations. Are you an artist or photographer? Why not add your portfolio to a dead drop – you never know who might drop by. Musicians, writers, charities and community workers could all use drops to spread word of their cause. Then again perhaps you just fancy sharing your favourite Thundercats episode? The thought behind the dead drops project is well-meaning and above all fun. 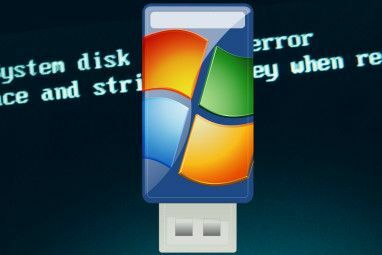 Provided you exercise caution, especially if you’re using a Windows PC, and make sure there’s no gum or other damaging foreign matter in the stick before you’re hooked up then your offline filesharing experience will probably be a pleasant one. Do you think dead drops are a good idea? Have you shared? Have you established a drop? We’d love to hear your thoughts, so stick them in the comments below this post. One suggestion people: get a USB extension cable to hook up with, and you won't have to worry about the condition of the USB stick. Biggest dumfuk idea Ive ever seen. Wow, I had not heard about this one, yet. Awesome movement! Thanks for sharing, Tim. Good way to pick up a virus. This is from like.....two years ago. Why are you just now finding it, MakeUseOf? Hmmm, well I've left USB sticks in my pocket before and sent them on a journey through the washing machine (with a dry cycle to boot) and I've never had one die on me. Even the cheapos/freebies that I've collected over the years have survived multiple soakings, been stepped on, and generally mistreated and still I have a draw full of functional USB sticks. I'd certainly say be careful before sticking just any USB drive into your PC, but on the whole they should last for ages and if you're worried about dust give it a good blow before you make a connection (like old-school Nintendo games, amirite?). I think he is talking about the computer connecting to the USB stick that may be wet and dirty.